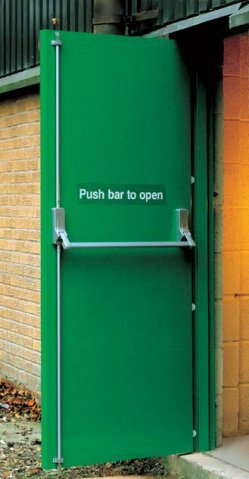 GB’s fire and non-fire rated Steel hinged security doors, tested to 1, 2 & 4hr fire rating, for internal and external applications. Steel hinged doors combine strength with elegance and durability and cost effectiveness. The heavy duty hinges will ensure that the steel door is secured firmly to the frame and that the door is in place to resist pressure from attack and fire. 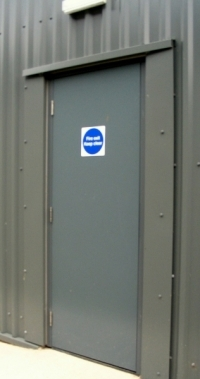 Our Steel hinged security doors are made to handle industrial level threats of theft, accidents and fire, so you can be confident that once the doors have been fitted, entrances and exits around your premises will be fully protected. Vision panels are available in a range of standard rectangular and circular sizes. Specialist paint systems to suit coastal/chemical environments and foodsafe applications are also available.